Some people are just born as animal lovers. I can't explain exactly why or how, but for as long as I can remember, I've had a compassionate heart for animals -- especially dogs and cats. Growing up in a middle-class family neighborhood in Southern California, we always had an assortment of animals including dogs, a turtle, a snake, a chicken, rabbits and guinea pigs. Later, as an adult, I began volunteering at various animal shelters and rescue groups, mainly focusing on education to eradicate the ignorance that leads to animal abuse and neglect. When I lived in Morocco, I witnessed the horrendous treatment of animals (and rescued many along the way) and I am sad to say that now, here in California, the abuse and neglect rivals anything I have seen in any Third World Country. In 2005, my husband David and I created Compassion for All (CoFA) as a volunteer organization with the purpose of promoting humane education, rescue and outreach and supporting organizations and individuals with financial support, material items, transport, networking, fundraising, fostering and hands-on help. Our first major outreach was in New Orleans, as I worked with hundreds of volunteers from around the country in the devastaing aftermath of Hurricane Katrina, as we broke into people's homes where starving and dying animals had been abandoned. Over the years, my focus has been on networking, fundraising, education and outreach as CoFA supports our fellow animal advocates to create positive change. 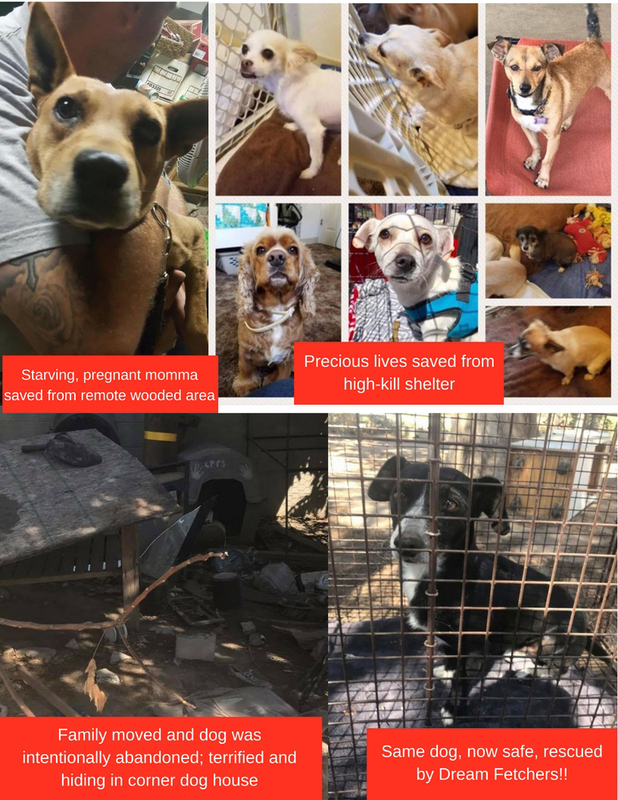 Thanks to so many wonderful and dedicated, compassionate volunteers, we also organized the first "Wings of Rescue" flight of 100 dogs out of San Bernadino and Devore shelters to safe havens in Idaho, Washington and Arizona. 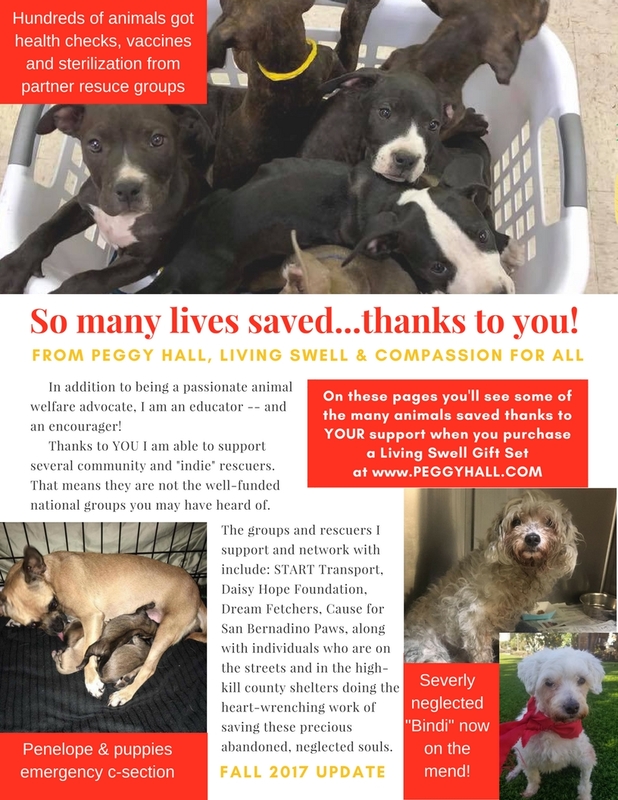 Along the way, hundreds of other desperate animals were saved through many hours of networking, transporting, financial donations, fostering, adoption events and donation drives of needed items. Won't you help us help others? Thank YOU for helping to save the lives of these precious dogs and cats that otherwise would have no hope. YOU are needed to help us save lives! Please join our team and become a COFA Hero with your donation, or make a contribution in the name of a loved one or beloved pet.